Barb Herrera, Navelgazing Midwife, has written a series of posts (starting here) on choosing a competent homebirth midwife. In reading the posts, I am struck by how much of what Barb writes comports with what I have written over the years. I’ve written that homebirth midwives claiming to be “experts in normal birth” is worse than useless. It’s like a meteorologist claiming to be an expert in good weather. If nothing goes wrong, there’s no need for an attendant of any kind. The entire purpose of a birth attendant is to prevent, anticipate, diagnose and manage birth complications. But, whomever you’re hiring, it is someone to, ultimately, save the life of you or your baby if a tragic emergency occurs. When a complication occurs in the hospital, there is a team of folks to do the various parts of the job in keeping someone alive. If there are mistakes being made, there is almost always another person there to see it and fix the mistake. In a homebirth setting, you have one, usually two and sometimes three people to save the life/lives. If each person isn’t meticulous in their abilities, there is no back-up team to take over or even witness the mistake/s. This is why choosing the right homebirth midwife is so important. I have written repeatedly that there are unanticipated life threatening emergencies that can and do happen at homebirth. If a baby needs an immediate C-section or if a baby is born requiring an expert resuscitation including intubation, the baby will simply die at home. The baby will be long dead before the mother and/or baby can be transferred to a hospital. I have written that, contrary to the fantasy of the informed homebirth advocate, it is absurd to place responsibility for assuring the competence of a homebirth midwife on the mother herself. … But, how is the client supposed to learn how to be a midwife and be able to gauge whether the interviewees are wise enough to fulfill their promises during their pregnancy – all the while getting care from these midwives? It’s absurd to expect a woman hiring a midwife to know more than the midwife herself. This is where a standardized education and skills system being in place can not only save the pregnant woman time and energy, but perhaps also her life or that of her baby. Barb moves on to specific questions to ask a homebirth midwife. 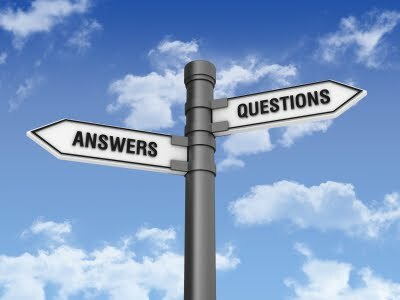 The questions appear to be designed to differentiate between midwives who follow scientific evidence and midwives who ignore scientific evidence. Although Barb is careful to state that the mother has a right to choose midwives who ignore scientific evidence, it is pretty clear that she does not think much of such midwives. I have written repeatedly about the penchant for evidence-indifferent homebirth midwives to insist that any complication is a variation of normal, when it is not. Breech is not a variation of normal, neither is twins. Does she say a breech or twin birth is a “variation of normal”? This lets you know she’s on the liberal side of midwives, more amenable to delivering breeches and twins at home. If she is on this side of the spectrum, you might ask these next questions. Pre-eclampsia is a potentially life threatening condition for both baby and mother. … If you are looking for a conservative midwife, it’s important to know the standard of care is to transfer a woman if her blood pressure is 130/90 or 30/15 above her normal blood pressures. (If your blood pressure is usually 90/56, by the time your BP is 130/90, you could be having a stroke!) If you’re looking for a more liberal midwife, one who doesn’t stick to the rules of what most (medical folks) would consider safe, then knowing her answers will help you here as well. How she answers gives you pieces of the total picture of the type of midwife she is and a decent guideline-roadmap for a normal and inching-out-of-normal pregnancy and birth. … I guess if you want to know if she’s still of the belief that the Brewer Diet can help a woman avoid or if she has preeclampsia already, the Diet can relieve the condition, that would be good to know, demonstrating she is not an evidenced-based midwife (some of the links have been locked for privacy), despite her possibly saying she is. Homebirth has a very real risk of death. if certain life threatening emergencies occur at home the baby will simply die. The purpose of a birth attendant is to deal with emergencies. Midwives ought to be licensed and meet certain minimum standards. Breeches and twins are not variations of normal. “Liberal” homebirth midwives are indifferent to scientific evidence or ignore it. Friendship has nothing to do with safe homebirth midwifery. In other words, Barb agrees with me.